Old-fashioned investments are needed to fully obtain the development gains offered by the internet. Photo credit: ADB 2015. To obtain development gains through digital investments, invest in their analog complements: policy and infrastructure. Universal access to the internet has become a top development priority, but getting there requires affordable, reliable access to fast, “always on” broadband networks. Affordable internet access enables progress on some of the toughest development challenges in the world’s poorest communities. According to one estimate, increasing the proportion of the world’s population that is connected to the internet to 75% (reaching 5.6 billion people) would add $2 trillion per year to world GDP and help create 140 million jobs—a lofty goal: today, only about 40% of the world’s population (3.2 billion) is connected. But reaping those benefits requires more than adding internet connections. While digital technologies have been spreading, “digital dividends” have not. Gaining traction will require a major reevaluation of internet development and reform projects. That reevaluation is the focus of the World Bank’s World Development Report 2016: Digital Dividends (WDR 16). 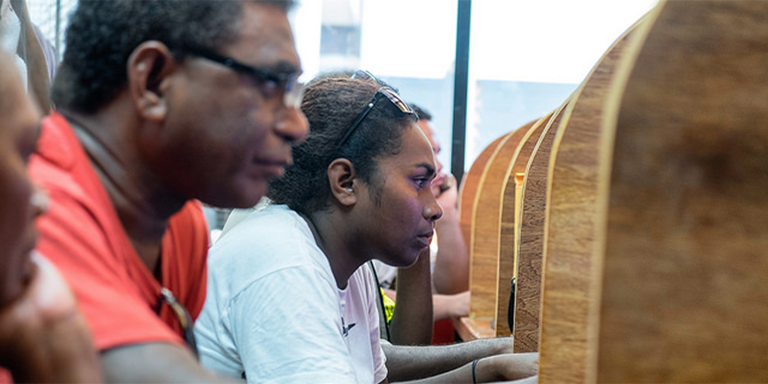 It highlights the size of the digital divide and shows that a robust program of development in the supporting environment points the way for the development community to make decisive headway on the enormous promise of the internet. Growth, jobs, and services are the most important returns to digital investments. Digital technologies help businesses become more productive, people find jobs and greater opportunities, and governments deliver better public services to all. How do digital technologies promote development and generate digital dividends? By reducing information costs, digital technologies greatly lower the cost of economic and social transactions for firms, individuals, and the public sector. They promote innovation when transaction costs fall to essentially zero. They boost efficiency as existing activities and services become cheaper, quicker, or more convenient. And they increase inclusion as people get access to services that previously were out of reach. The changes are not limited to economic transactions—they also influence the participation of women in the labor force, the ease of communication for people with disabilities, and the way people spend their leisure. By overcoming information barriers, augmenting factors, and transforming products, digital technologies can make development more inclusive, efficient, and innovative. Why are digital dividends not spreading rapidly enough? First, nearly 60% of the world’s people are still offline and can’t fully participate in the digital economy. There also are persistent digital divides across gender, geography, age, and income dimensions within each country. Second, some of the perceived benefits of the internet are being neutralized by new risks. Vested business interests, regulatory uncertainty, and limited contestation across digital platforms could lead to harmful concentration in many sectors. Quickly expanding automation, even of mid-level office jobs, could contribute to a hollowing out of labor markets and to rising inequality. And the poor record of many e-government initiatives points to high failure of ICT projects and the risk that states and corporations could use digital technologies to control citizens, not to empower them. What should countries do to mitigate risks? Connectivity is vital, but not enough to realize the full development benefits. Digital investments need the support of analog complements: regulations, so that firms can leverage the internet to compete and innovate; improved skills, so that people can take full advantage of digital opportunities; and accountable institutions, so that governments respond to citizens’ needs and demands. Digital technologies can, in turn, augment and strengthen these complements—accelerating the pace of development. What needs to be done to “connect the unconnected”? Dr. Tim Kelly is a Lead ICT Policy Specialist in the World Bank Group, which he joined in 2008, and is based in the Nairobi office. He wrote the policy chapter of the 2016 edition of the World Development Report, on the theme “Digital Dividends”. He previously managed World Bank reports on Maximizing Mobile and eTransform Africa, as well as the Broadband Strategies Toolkit. On the operational side, he is currently managing ICT programs in Comoros, Malawi, Somalia and Tanzania. He was formerly Head of the Strategy and Policy Unit of the International Telecommunication Union (ITU), and previously worked with the OECD and Logica.